When you think about how we have listened to music over the decades, there has been a battling dichotomy around making the music we love more accessible and bringing with it a level of quality we never knew could be achieved. 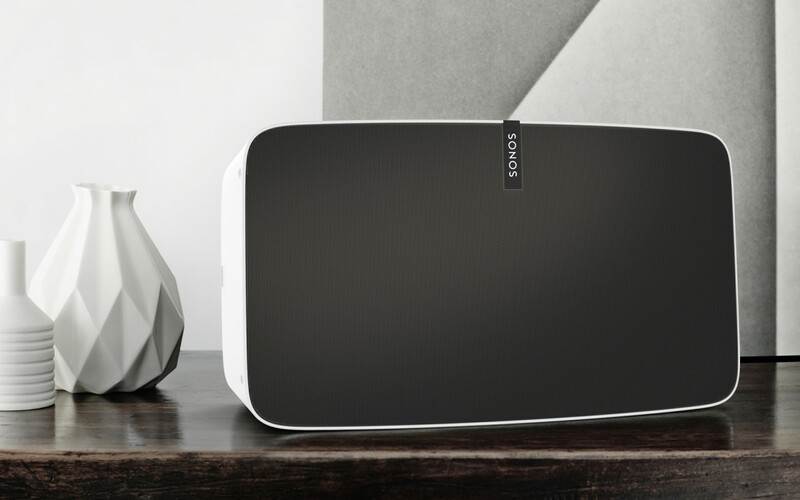 Since 2002, Sonos has been reinventing how we listen to music, bringing accessibility and high-fidelity audio together is a line of products that transform homes into the moods and experiences that match, enhance and compliment our life. Through visuals created using KeyShot, they explore early concepts, coordinate with teams and deliver sales, marketing and production imagery throughout the entire product lifecycle. 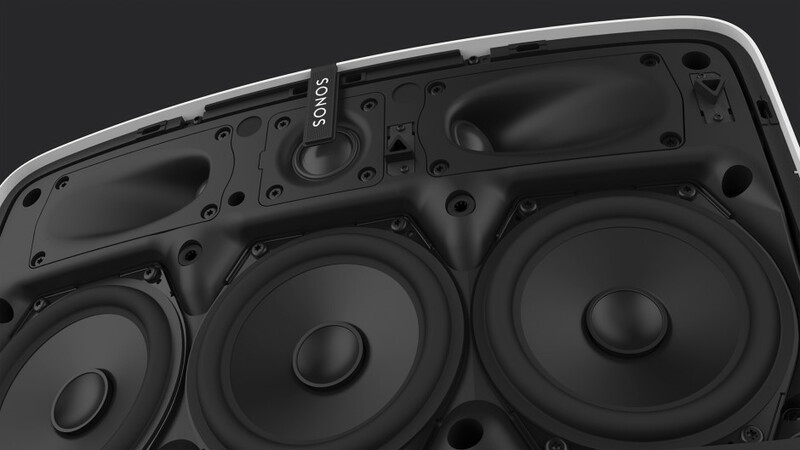 We talk with Stefan Reichert, Industrial Designer at Sonos, about the design process, the culture at Sonos and how they used KeyShot for their latest innovation in sound, the Sonos Play:5 wireless speaker. 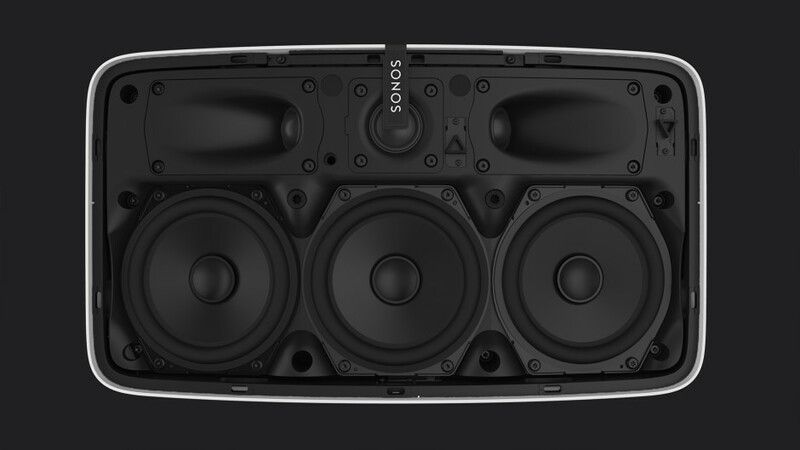 What is involved in the design process at Sonos? Our process is experience led, so we start with insights into the lives of our customers to understand what they value. This doesn’t mean we just ask customers what to make, because we need to be looking forward into the world where our products will live, but everything that we do begins with an understanding of the end experience we want to add to people’s lives. We have seen through objective measurement that music improves people’s lives and when they own Sonos they listen to more music, so we begin by asking what a new product can do to further that cause. We seek to end the silent home. 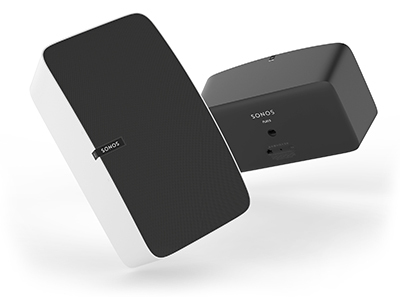 We believe in making as few products as possible rather than as many as possible so the process begins with a careful questioning of what a new product adds to the home audio experience. We look at technology as a tool. Once we know what experience we want to create then we identify what tools (technologies) are needed to achieve it. 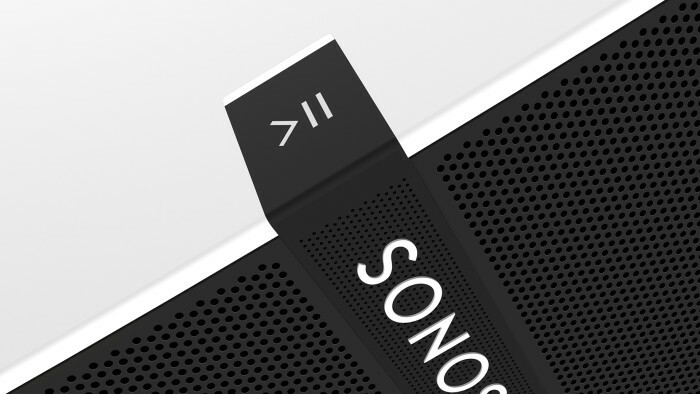 Industrial Design at Sonos lives within the Experience Design team which also includes UI/UX, packaging design, and user insights. A Design Lead for each hardware program unifies these different disciplines into a coherent customer experience. 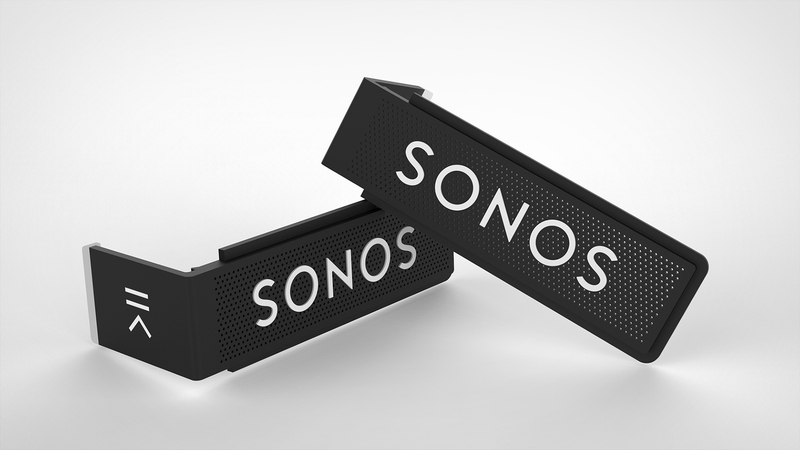 We focus on the “right” product experience and won’t ship a product that does not meet the high quality bar we have here at Sonos. 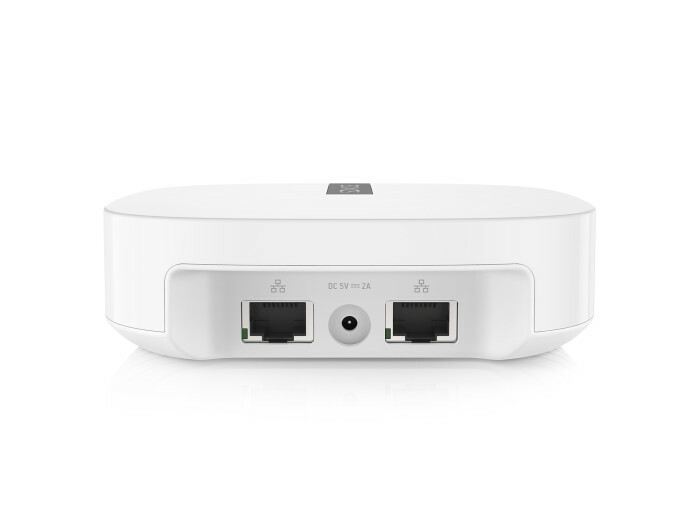 This also includes that we design products not only to work great for one or two years–our products are great when you buy them and get even better over years of use. They are designed to last and we are still supporting products sold 10 years ago. During the whole design process, the experience design teams (product and software) work very closely with development partners across the US and around the world. This requires a lot of communication and storytelling with clear visuals to keep diverse teams aligned around a consistent point of view. 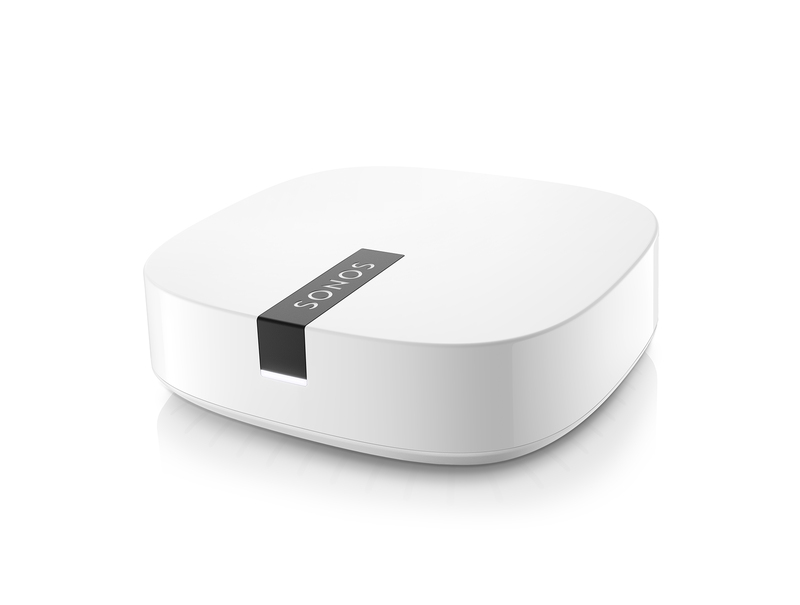 What is the primary 3d modeling software at Sonos? In early exploration phases the design team uses a variety of 3D tools for form exploration and sketch work–Alias, Rhino or NX as is appropriate for the particular need. We have aligned on Siemens NX as the cross-disciplinary tool for product development. It is important for us to have one consistent language to communicate between engineering and design teams, and NX supports the differences in how the disciplines work while also allowing very fluid interaction. Aligning on one software tool allows Design to collaborate more effectively. Where along the design to marketing process is KeyShot used? 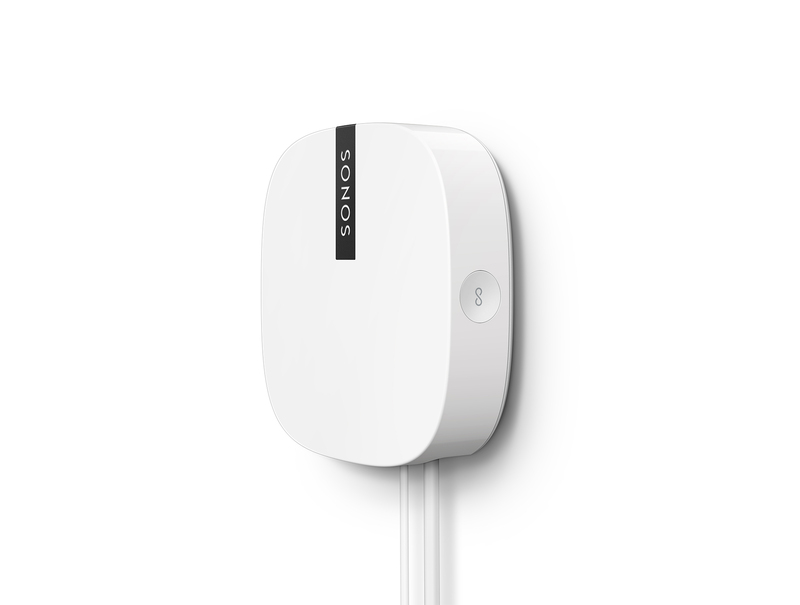 KeyShot is used at Sonos from the very beginning of a project until the end when we ship a product. In the early stages of a project KeyShot helps to quickly explore a wide range of forms and visualize how certain materials and finishes will look on a specific shape. After selecting a subset of product form factors and refining the forms with our engineering partners we develop appearance models and we use KeyShot to create CMF spec sheets for model making. 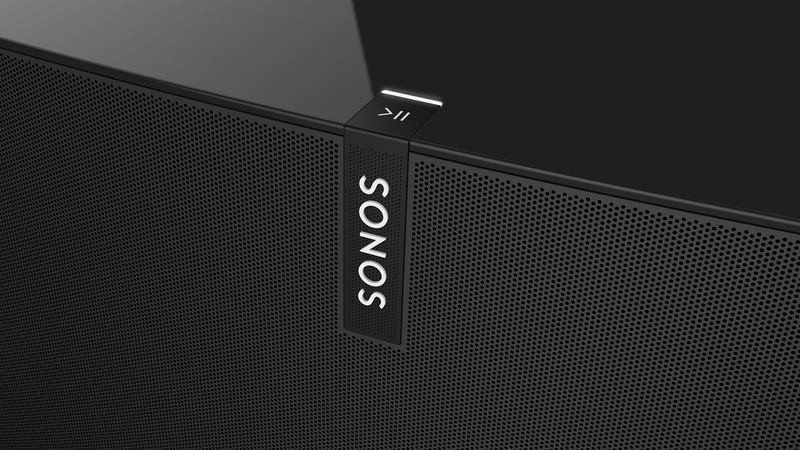 This helps avoid miscommunication and lays the foundation of our official product CMF spec that will inform Sonos manufacturing teams all around the world about the color, material and finish of each individual part of a product. 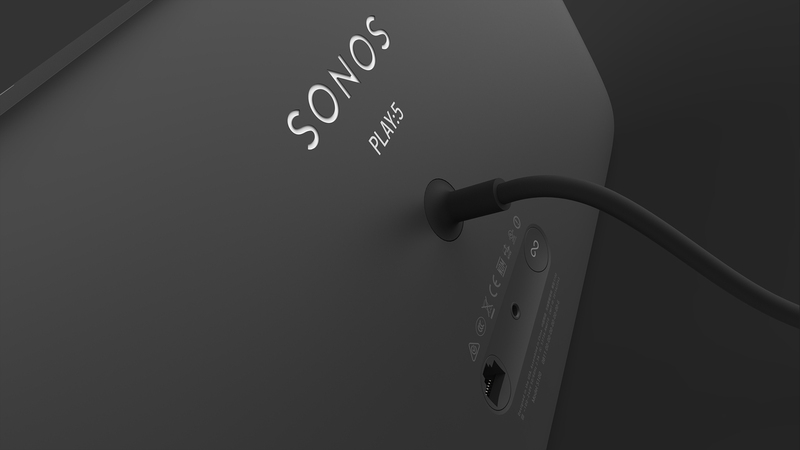 The Sonos product portfolio is focused on a specific set of color values and a library of materials in KeyShot allows us to quickly draw from the existing palette and explore new variants. At every stage of the process towards mass production, KeyShot is a great help in visualizing design intent with the engineering, wireless, acoustic and many other teams that are involved in a hardware development project at Sonos. Building a quick mockup of a feature in CAD and rendering it speeds up the conversations so much more and helps to avoid miscommunication. After we release a product we create highly detailed renderings with KeyShot to amplify our product story on our press tour, where we travel around the world to reveal the product to the press. At Sonos we are in the pursuit of simple forms that are constructed in unexpected ways, so our point of view lives in the details. Rendered visuals of the internal components, exploded views and macro shots of small details help us to tell our story in a meaningful way. What’s a project has KeyShot been used on? 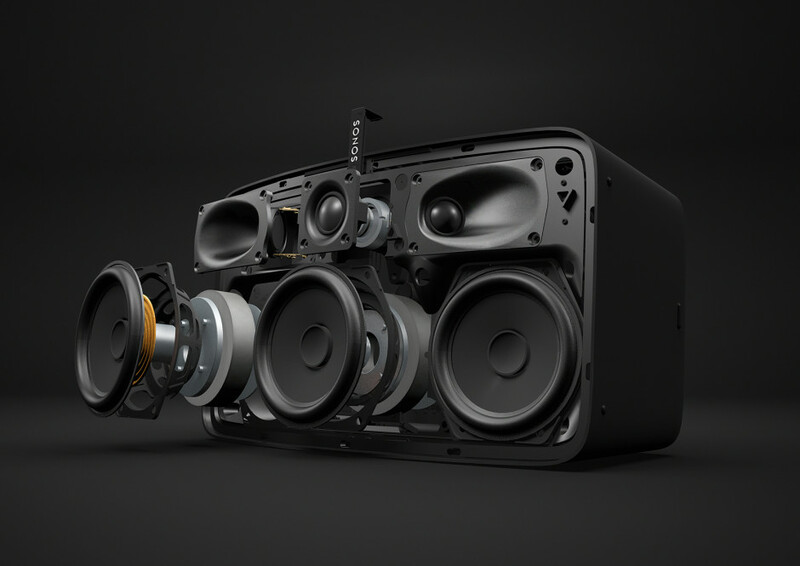 KeyShot was extremely helpful in our latest product–the all new Play:5 speaker. The thousands of holes that form an acoustic grill are a challenge unique to audio design. The subtle differences in visual read of different hole patterns, and hole diameters separated by only 0.1mm, are critical to the overall product experience. 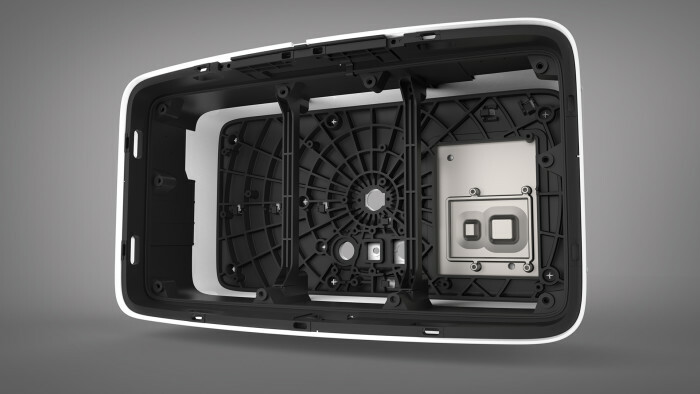 We built multiple variations of parts like the grill and support substrate and quickly render the different patterns in KeyShot to evaluate concepts before building costly models. 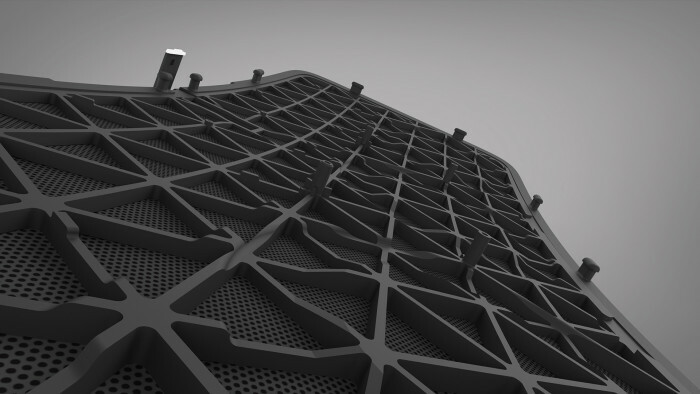 This iterative process led us to the diamond shaped substrate pattern that is used in the final product. We also used KeyShot for the press material we were showing on our press tour. The renderings created by the Industrial Design team were used in our official press kit that was sent to all journalists in support of the Play:5 launch. The fast turnaround times and high realism allowed us to make corrections and dial in the picture while hitting the strict printing. KeyShot gives us the flexibility to use rendered content in our production files for packaging artwork and allows us to focus our time and resources where it matters most–developing a customer experience we are proud of. KeyShot is an invaluable tool because we can visualize a wide range of early ideas quickly, and communicate our final ideas in high detail – all form our laptops. Especially with the new scene sets we are able to have multiple complex product setups and CMF versions in one file and can switch between them almost effortlessly. Being able to render a product with high realism enables us to move quickly and confidently streamlining our development process. What advice would you give to someone interested in doing what you do? First and foremost, you need to find out if you like the job itself! If you like what you do and you are willing to work through days and nights to dial-in every little detail about a project you are working on, then product design may be right for you. Hard work pays off and other professionals that are hiring you will see the difference. When you work on your portfolio ask yourself what part of the process you enjoy most? Find your strengths and build on that! For me it was consumer electronics and because my school was focused on that I had a lot of fun during my time there. But if you realize that the focus of your school does not match your passion, take action and find a school or program that supports you. Life is too short to waste time with something that you are not truly passionate about! I really recommend spending some portion of the bachelor’s program as an exchange student in a foreign country or at a different school. I learned so much more about industrial design while I was studying at DAAP in Cincinnati, OH. Their program is excellent and with their COOP you have already a great system in place to get high quality internships through the university. The other advice I would give a student in this field is to work with people that inspire you! Find out what consultancies and in-house design teams you want to learn from, who inspires you and work as hard as you can to get their attention! It is much easier in design than in other fields because you have your portfolio. It is a very powerful tool that helps you to get into the door of almost any place. In my opinion, you learn so much more from actively working in our field with great people than staying in school for a master’s degree. 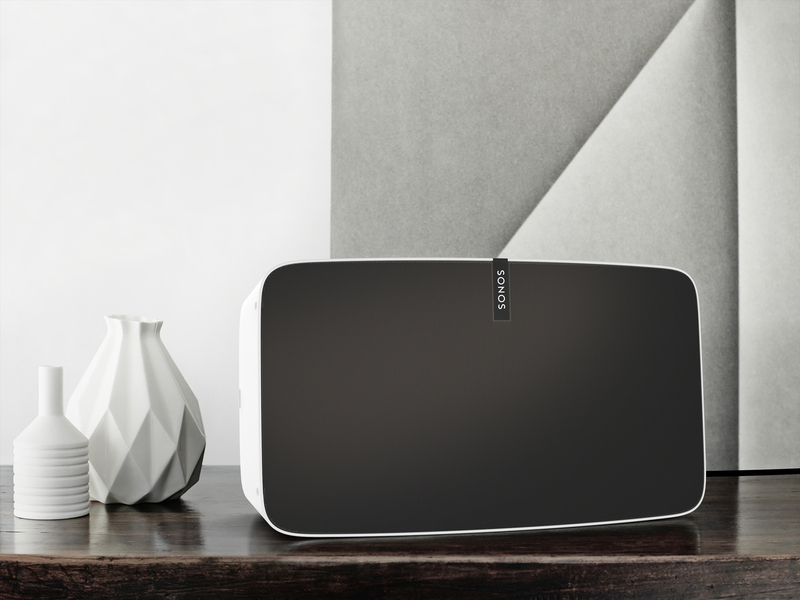 Sonos is a great example – when I started here I was the first in-house industrial designer after Mieko Kusano, who led design at Sonos from the very beginning. Being here and getting exposure to a growing company, building our processes and being the lead in-house designer on our new Play:5 from the beginning to the end was a learning experience that I would never have in any master’s program. Last but not least: Don’t save at the wrong end. Nothing is more frustrating for me than old or slow software – invest into the latest Adobe Creative Suite, Rhino and KeyShot and you will have all the tools you need to build an amazing design portfolio and you are prepared for almost any job out there!